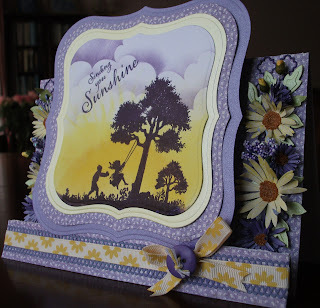 OOOH I have been such a naughty Blogger it's been a while but it's Fussy & Fancy Challenge time again so I need to do a quick post for my offering this month ... the theme is Lemon & Lavender. 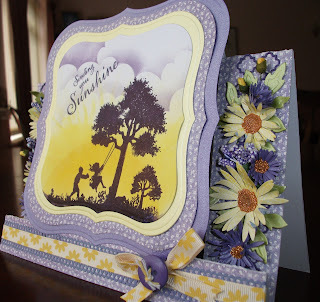 I do not use a lot of yellow in my cardmaking normally so I was struggling to come up with an idea... 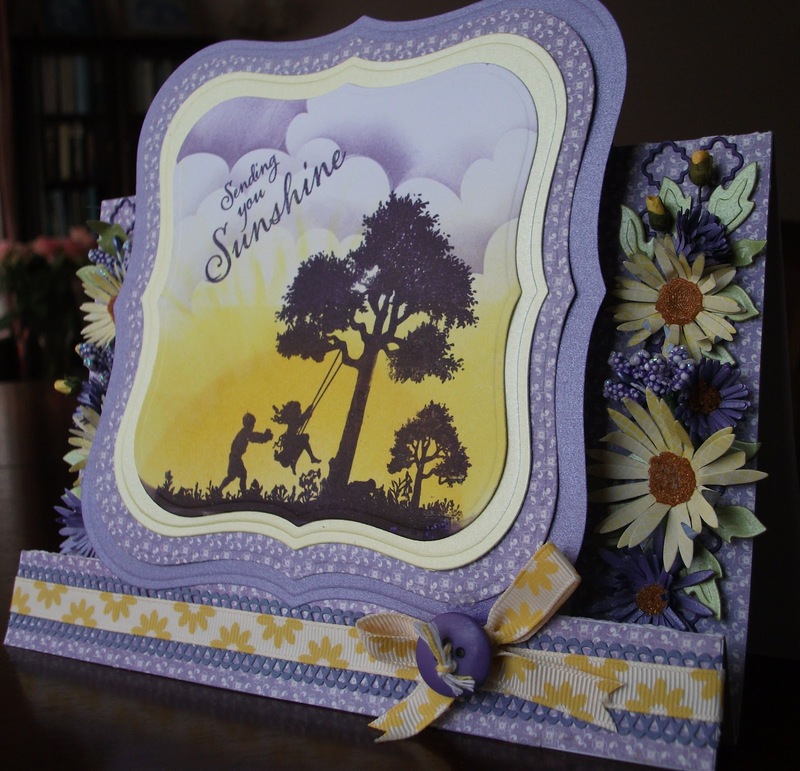 I must give credit the inspiration for this card comes from the Clarity DT team particularly Maria Simms. I love this Clarity Stamp silhouette image of the children playing on a swing it reminds me of my childhood, running free and playing on a makeshift swing in the fields near my grandparents house. 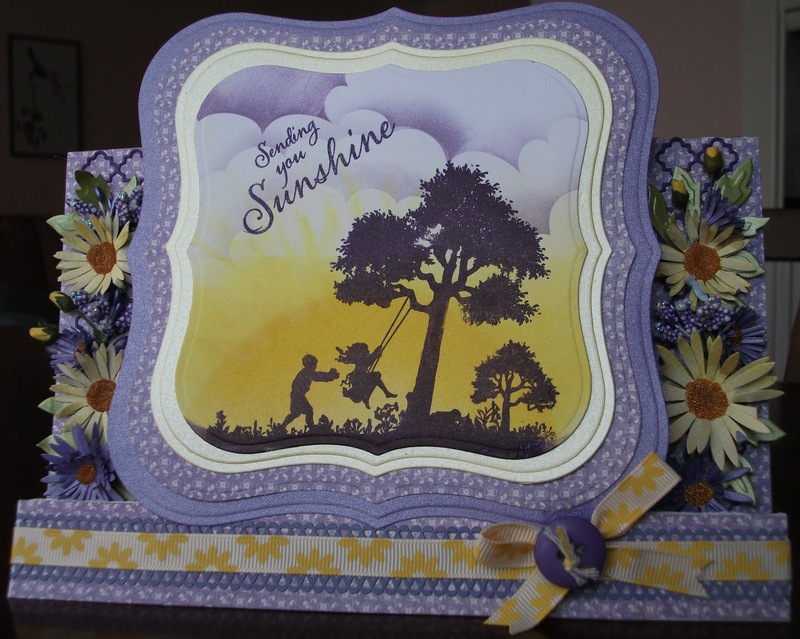 I also love this Clarity sentiment, the idea of sending someone sunshine to brighten up their day .... a real un-birthday card. I played around and decided a stepper card would show off the topper best, I used some of my precious Graphic 45 Secret Garden paper for the matting and layering, the shade of lavender was perfect with yellow. 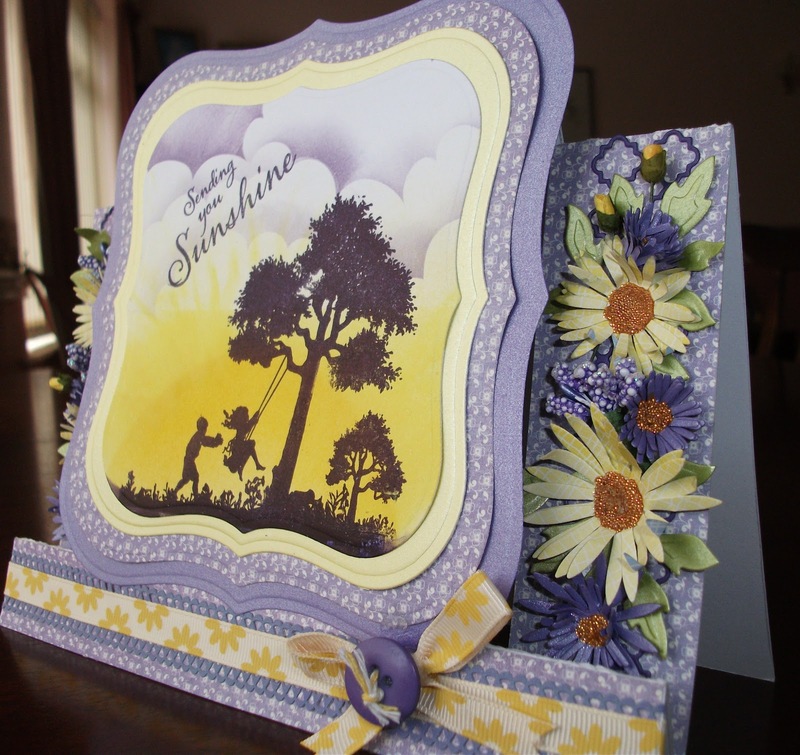 Naturally there had to be flowers somewhere on the card and a stepper card gave plenty of smaller areas to put them, daisies seemed a natural choice.